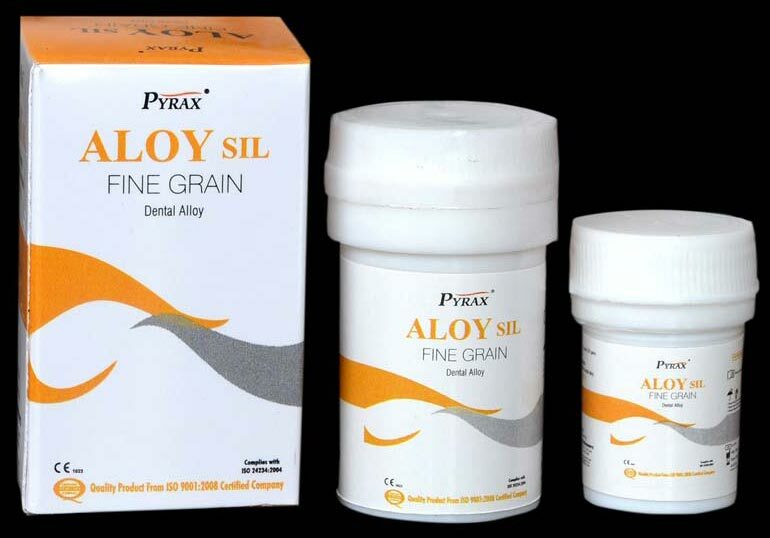 Aloysil is a Quaternary silver filling alloy, with nearly 68% silver. It has a fine grain lathe cut, and offers Easy carving. Clinets widespread appreciate Aloysil for having excellent compressive strength and flawless polish. Aloysil has a shelf life of 3 years or 36 months. We package Aloysil in 30 gm packs. We have established ourselves as reputed Manufacturer, Exporter and Supplier of Aloysil in India.